On October 21, Andrea Bocelli simultaneously releases two new packages representing the varied and impressive musical gifts of one of the world’s most celebrated tenors. Opera – The Ultimate Collection has been released in over 56 countries, and features prestigious figures of the classical music world including bass-baritone Bryn Terfel and soprano Barbara Frittoli, as well as such esteemed conductors as Zubin Mehta, Myung-Whun Chung, and Placido Domingo. The album also features orchestras from all over the world, including The Israel Philharmonic Orchestra, Orchestra e coro del Teatro Massimo Vincenzo Bellini di Catania, Orchestre Philharmonique de Radio France, Orchestra Sinfonica e Coro di Milano Giuseppe Verdi to name a few. Puccini’s Manon Lescaut with Ana Maria Martinez, Orquestra de la Comunitat Valenciana, Coro de la Generalitat Valenciana and conductor Placido Domingo is the dark story of love, betrayal, jealousy and death. Manon calls for dramatic, forceful performances and gets the full treatment here in this new studio recording. 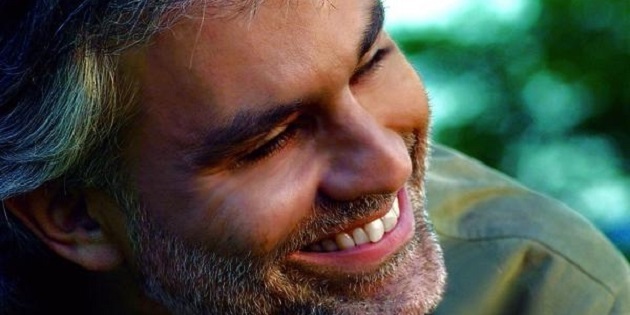 Often credited with bringing classical music to the masses, Bocelli has always performed and released both pop and core classical material, often combining both in two separate halves of his concerts. Over the years he has also appeared in numerous opera productions including Puccini’s La Boheme, Verdi’s Macbeth and Massenet’s Werther. His ability to comfortably sing varied repertoire is evident from his best-selling discography, which includes 9 chart-topping pop albums and 14 core classical recordings to date. La fille du regiment – Pour mon ame quel destin!